Dimensions variable. Installation view, SCAD Museum of Art. Li Hongbo was born in Jilin, China, in 1974. He earned his Bachelor of Fine Arts from Jilin Normal University, Jilin, China, in 1996. He then earned his first MFA in 2001 from the Folk Art Department of the Central Academy of Fine Arts in Beijing and concluded his formal education with a second MFA from the Experimental Art Department of the same school, in 2010. Li Hongbo is best known for his interpretations of paper. His reinvention of the material's form challenges viewers’ expectations of the medium as an artistic vehicle. Utilizing an age-old honeycomb technique seen in paper gourd making in China, Li creates kinetic paper works which elegantly expand, contract, and retract. These sculptures hint at influences of folk traditions in China, but in contemporary light play upon perceptions and the visual language of a mercurial medium that has stood the test of time. Li’s solo exhibition Tools of Study (2014) inaugurated Klein Sun Gallery’s space in Chelsea, New York, to critical acclaim. Staged like an institutional assembly of classical sculptures, the exhibition was activated through participation – with one simple tug, a bust revealed layers and layers of paper that unraveled like a slinky. Li’s second exhibition at Klein Sun Gallery, Textbooks (2016), continues his study of paper through examination of school literature. His work has been the subject of solo museum shows around the world including Quand La Sculpture Devient Créature, Musée du Papier, Angoulême, France (2017); Ocean of Flowers, Eight One Art Museum, Beijing, China (2017); The Exhibition of Annual Contemporary Art of China 2014, Beijing Minsheng Museum (2016); Irons for Ages, Flowers for Days, SCAD Museum of Art, Savannah, GA (2015); Li Hongbo – Out of Paper, Kunstverein Ludwigsburg, Ludwigsburg, Germany (2013); and The World – Li Hongbo New Works Exhibition, Found Museum, Beijing, China (2011). His work has also been exhibited in museum group shows including On Paper. Supreme, Shanghai Han Tianheng Art Museum, Shanghai, China (2017); Reciprocal Enlightenment, CAFA Art Museum, Beijing, China; Deep Cuts, Currier Museum of Art, Manchester, NH (2017); TRANS-DESIGN 2016 Shanghai Art & Design, West Bund Art Center, Shanghai, China (2016); CODA Paper Art, CODA Museum, The Netherlands (2015); Forever Young, Asia University Museum of Modern Art, Taichung, Taiwan (2015); Metaplasia – La China Ardente: Monumental Contemporary Sculptures, Anciens Abattoirs, Mons, Belgium (2015); FLOW_1: Italian and Chinese Contemporary Art in Dialogue, Palladian Basilica, Vicenza, Italy (2015); Experimental Art, Central Academy of Fine Arts Museum, Beijing, China (2014); Stacked & Folded Paper as Sculpture, The Dennos Museum, Traverse City, MI (2014); Confronting Anitya, Palazzo Michiel, Venice, Italy (2013); PaperWorks: The Art and Science of an Extraordinary Material, Berkshire Museum, Pittsfield, MA (2013); Hot Pot, Brattleboro Museum, Brattleboro, VT (2013); All our relations, 18th Biennale of Sydney, Australia (2012); and Start from the Horizon: Chinese Contemporary Sculpture Since 1978, Sishang Art Museum, Beijing, China (2011). Li Hongbo’s work is in the public collections of the White Rabbit Collection, Sydney, Australia; Central Academy of Fine Arts, Beijing, China; and the Found Museum, Beijing, China. 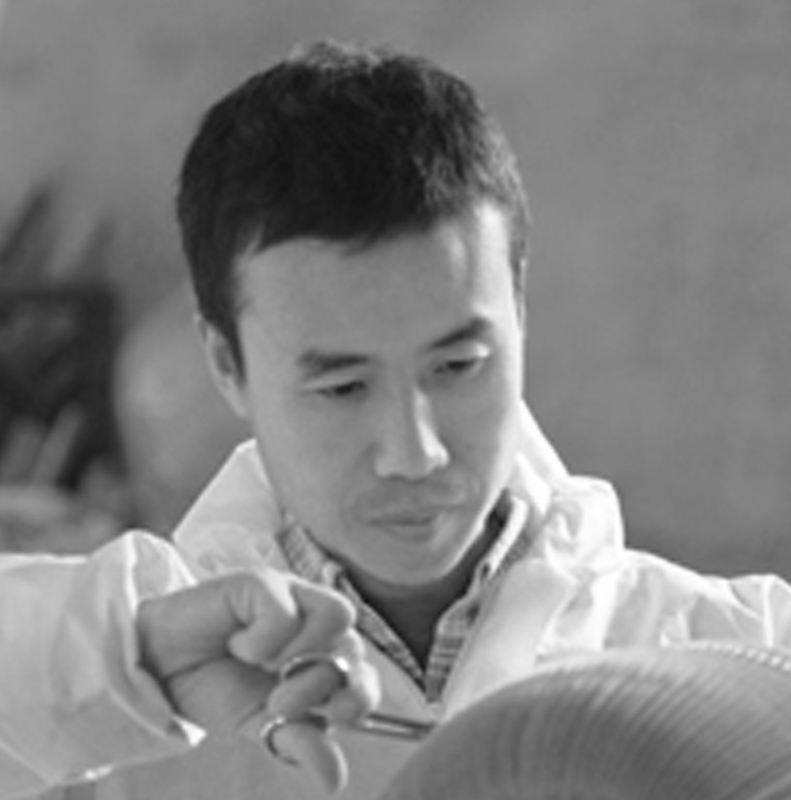 Li Hongbo has been the recipient of several prestigious awards throughout his career. Most recently he received the Nomination Award from the China Government Publication Awards, and in 2017 he won Grand Prize from the Sovereign Asian Art Foundation. Li Hongbo currently lives and works in Beijing, China.